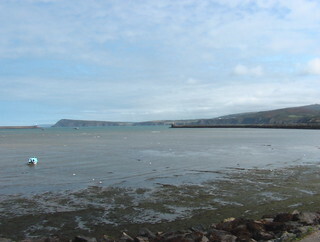 A few weeks ago, I stumbled across an online article from one of Pembrokeshire’s local newspapers regarding a proposal for a Fishguard and Goodwick railway museum. 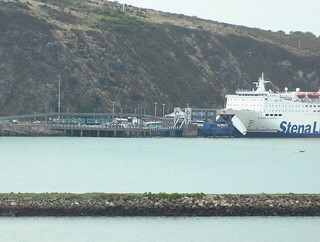 Apparently, the town councillor behind the idea is discussing the possibility of locating the museum at Fishguard & Goodwick station with Pembrokeshire County Council. Five years ago, I would almost certainly have thought this was a great idea. 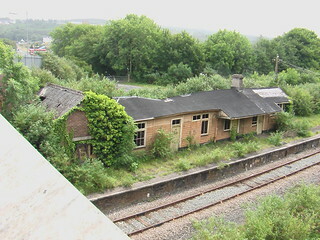 However, in August 2011 Pembrokeshire County Council demolished the original 1899 station building, which would have made a great home for the museum. In fact, not only could it have housed the museum it would itself have been a worthy exhibit. However, although Pembrokeshire County Council have constructed a replacement building, it does not have the stylistic qualities of the original. 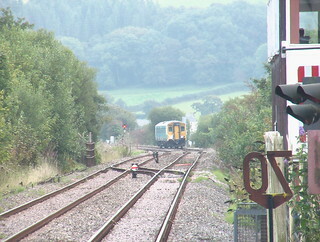 Somewhere else which might have made a good home for a railway museum is Boncath station, which was up for sale recently, but Boncath isn’t the most accessible place in the world. 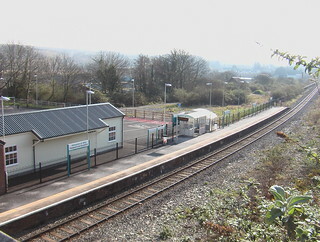 Goodwick is better in that regard, but the new station building is a total failure in aesthetic regard. The article referred to is here. 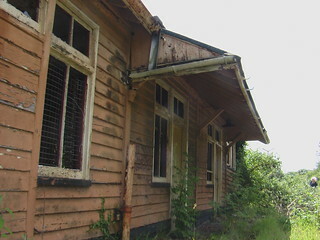 Since this is a rather short post, and relates to the old building at Goodwick station, I have recovered and re-published one of the old posts on the subject from my long-lost original blog. The recovered post can be found here. 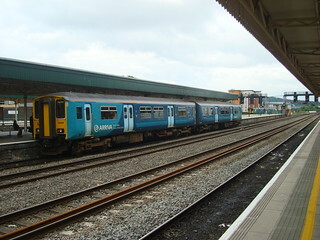 There are now just three months left to run on the three year trial service of five extra trains each way on the Fishguard Harbour branch line. 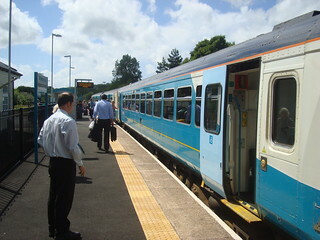 The Welsh Government have launched a community survey as part of their review of the service. 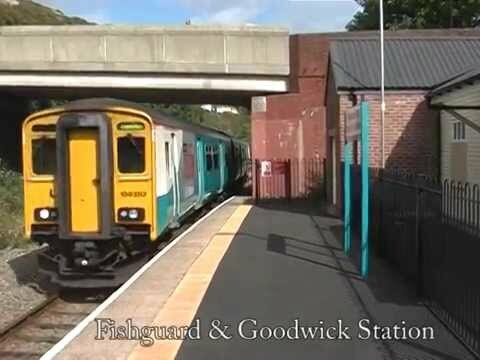 I have produced a new video (part of my ‘Trains For Fishguard’ series) to mark the occasion and publicise the survey. 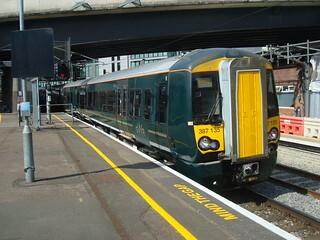 The review, and the survey, will shape the future service on the line. I hope the result will be an improved service not a reduction. 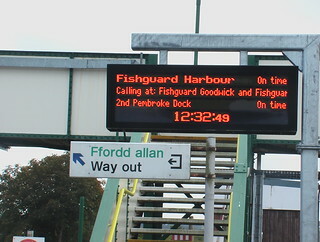 FishguardTrains.info has more information, and a link to the survey. This was originally posted on my old blog on 11 September, 2011. I have recovered the post, but not the photographs which went with it originally. The pictures featured may or not be the same ones. 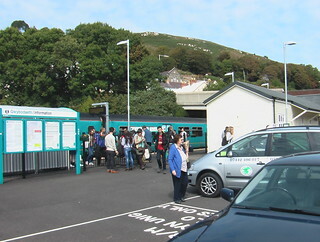 This was the building of Fishguard & Goodwick station, which if restored probably would have been the nicest of any minor station on the national network. It has been demolished now, what a senseless act of vandalism. Update: 23rd Nov 2011. I’ve just realised something. As well as everything else this distruction has lost us, we have lost probably the best spot to take photographs for promotional material to advertise the new rail service, and the opening of the station (without a nice building) next year. There is the brick hut to provide shelter, but that’s not the same. Retrospect: Feb. 2016 The brick shed isn’t even used for shelter. 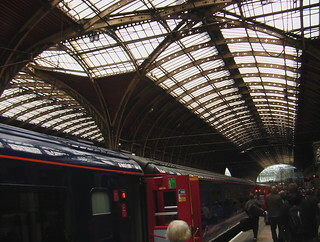 All passengers have access to is a rail-industry-standard shelter; basically a bus shelter. These are bigger and look more robust than your average bus shelter, but just as draughty.